What are the Dodge Durango Interior Features? Drivers can add an optional dual-screen rear-seat entertainment center with two 9-inch flip-up screens for maximum passenger entertainment. An available navigation system with access to 911 emergency notification, theft alarm, stolen vehicle assistance, and downloadable apps makes traveling easier and safer. The large 7-inch customizable driver information center provides data about fuel economy, warning indicators, and navigation when properly equipped. The Durango offers extra USB charging ports for rear-seat passengers, as well as a 115V power outlet for electronics such as computers and video games. Rearview Camera: The available rearview camera system makes it easy for drivers to monitor the space behind the vehicle and avoid accidentally colliding with pedestrians or other cars. Keyless Enter ‘N Go: The standard keyless entry system allows drivers to unlock the door simply by pulling on the door handle, so long as the fob is within range. 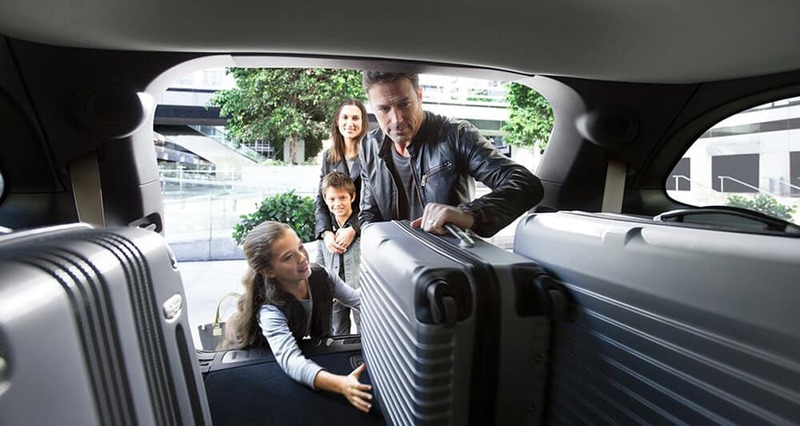 Expansive Cargo: Drivers can take advantage of as much as 84.5 cubic feet of interior cargo space when the second and third-row seats are laid flat. Rotary Dial: Changing gears is simple with the innovative rotary dial system that replaces the old-fashioned pushbutton gearshift in the center console. Bluetooth Connectivity: Bluetooth connectivity connects to the driver’s compatible smartphone and allows them to make and receive calls without taking their attention from the road. Test Drive a Dodge Durango Today! Get behind the wheel of a Dodge Durango and explore the interior features to make your drive safer and more entertaining. Schedule a test drive today by contacting Green Dodge or by visiting our showroom at in Springfield, IL. We’ll help you choose the trim and financing plan that best suits your budget and your lifestyle.